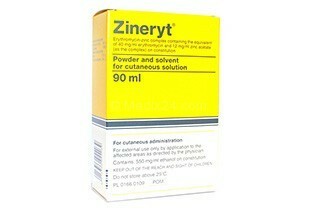 Zineryt is used for treating acne. It contains erythromycin, a substance that kills germs in acne and reduces inflammation. It also contains zinc acetate, which helps healing the skin. Effect: kills germs that cause acne and reduces inflammation. And also: helps heal the skin.